Today, I’d love to kick off a week where we discuss all things book-related. Whatta ya say? Are you in? This is why I normally just stick to libraries. Anyways, it was a pretty inspirational read so I thought I’d let y’all know a bit more about it! 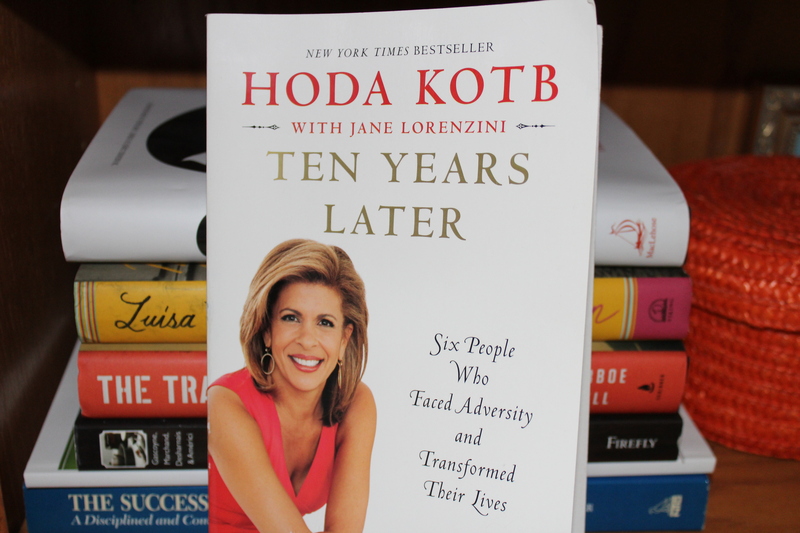 In Ten Years Later, Hoda looks at 6 life-changing moments experienced by 6 different people. She then returns a decade later to find out; where are they now? From an athlete suffering chronic seizures to a drug-addicted TV producer, each faced obstacles many would describe as insurmountable. Yet each managed, somehow, to set their life’s course headed in a positive direction. Their stories are incredible and powerful. Their lives reaffirm the idea that resilience and strength can come from adversity. And each outcome speaks to my personal belief that when you’re face-down on the pavement…there’s nowhere left to fall. …the heartwarming segments on news shows like 60 Minutes and Dateline. Are you reading anything good right now? Ever impulse buy a book that surprised you?